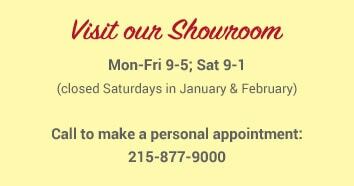 Zakian has been a trusted partner with Philadelphia interior design community for decades. As a designer, we can support you with the selection and resources that help you satisfy the needs of your customers. Our carpet experts can help you stretch your client’s decorating budget by offering designer collections at warehouse prices. Here’s why you need to talk to us before you begin your next flooring design project. MORE CHOICES for premium solutions in carpets, area rugs and hardwoods from traditional to transitional and contemporary to casual. MORE HELP AND ADVICE with selection and options and custom borders. You’ll love our quick ship on free samples. MORE SAVINGS thank you’ll find anywhere. Our lower overhead allows us to offer more aggressive commissions which we pay promptly. MORE RESOURCES to help you create stunning presentations. Step into our comfortable showroom and take advantage of our computer-aided design tools. MORE CONFIDENCE in a trusted partner that supports your efforts. Quality installation from experts you can count on. Designer collections at warehouse prices. 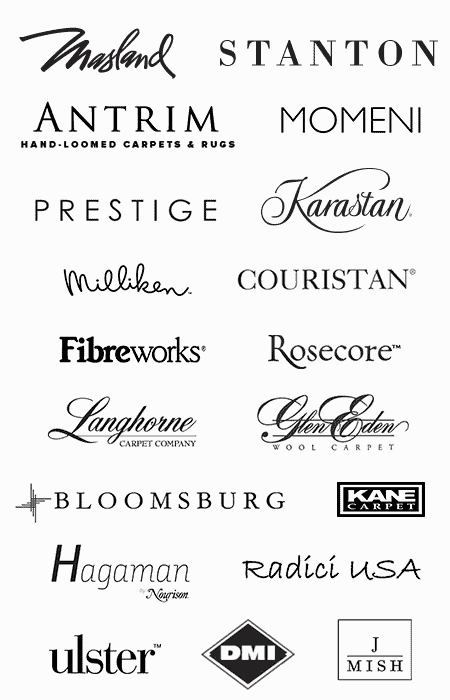 Click on any logo below to view the patterns and colors offered by these fine manufacturers. Then call Zakian to get deeply discounted pricing not found elsewhere.